SOUTH SALT LAKE, Utah (AP) — A man killed by authorities after they say he fatally rammed a police officer with a vehicle in a Salt Lake City suburb was involved in a deadly car crash earlier this year as he fled from a law enforcement officer. 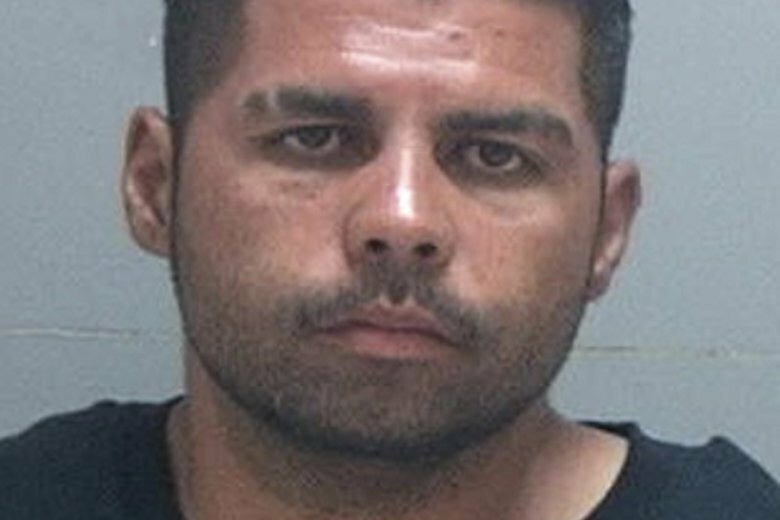 Authorities say Felix Anthony Calata intentionally struck and killed South Salt Lake Officer David Romrell on Saturday when Romrell and another officer responded to a burglary call at a business. The officers got out of their patrol vehicles and ordered Calata, 31, and his passenger to stop, but investigators say Calata accelerated and struck Romrell. The officers opened fire, killing Calata. Romrell, a 31-year-old Marine Corps veteran who was on the police force for nearly a year, is survived by his wife and 4-month-old child. It comes months after Calata was involved in a fatal crash in late March in Salt Lake City as a Utah Department of Natural Resources officer pursued him, according to a search warrant affidavit. He was driving an SUV that was believed stolen and it crashed into another vehicle, ejecting Calata and a female passenger, the document says. The passenger died at the scene, while the driver of the other vehicle suffered serious injuries. Before the crash, Calata was pulled over by the officer who asked what Calata was doing parked on the side of the road and picking up tires. The officer noticed a pipe for drugs inside the vehicle. Calata told the officer that he didn’t have a license and was handing over the pipe when he sped way. The officer followed and eventually lost sight of Calata before coming across the wreckage. The Deseret News reports that no formal charges were filed against Calata in the crash. The newspaper quoted Salt Lake County District Attorney Sim Gill as saying conflicting information in the investigation needed to be clarified first. Gill said his office received an email Friday that the information had been collected. Attorneys were scheduled to meet on Dec. 6 to screen a manslaughter charge against Calata, he said. In the crash that killed the officer, Calata’s passenger fled and was tracked down. The passenger, who hasn’t been publicly identified, was released because officers didn’t have probable cause to charge him with a crime, said Sgt. Melody Gray, a spokeswoman for the Unified Police Department in Salt Lake City. The passenger said he never got out of the car and had no idea what Calata was doing, Gray said.